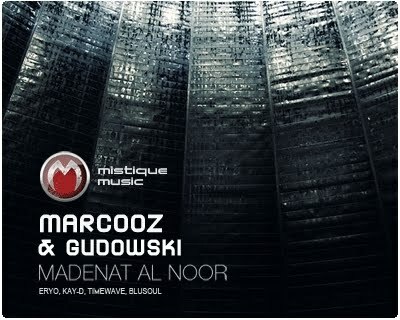 Marcooz & Gudowski – Medinet An Noor OUT NOW! Hell yea! Finally the one of oldest was released. With remixes by very talented producers like Eryo, Blusoul, Kay-D and Timewave! I remember time when I worked on this project alone, it was in 2005-2006! In 2008 I invited one of my teammates Marcooz to finish this one and few others. Finally, after year when we finished our few productions, 2 packs in different styles. You can touch by ears the second one (first has been SHIVA out for free in PHATT SOUNDS), but first one in Mistique Music is here, live and active for get it at almost any network shop place. Second one of Mistique will come soon also, IDYLLA.